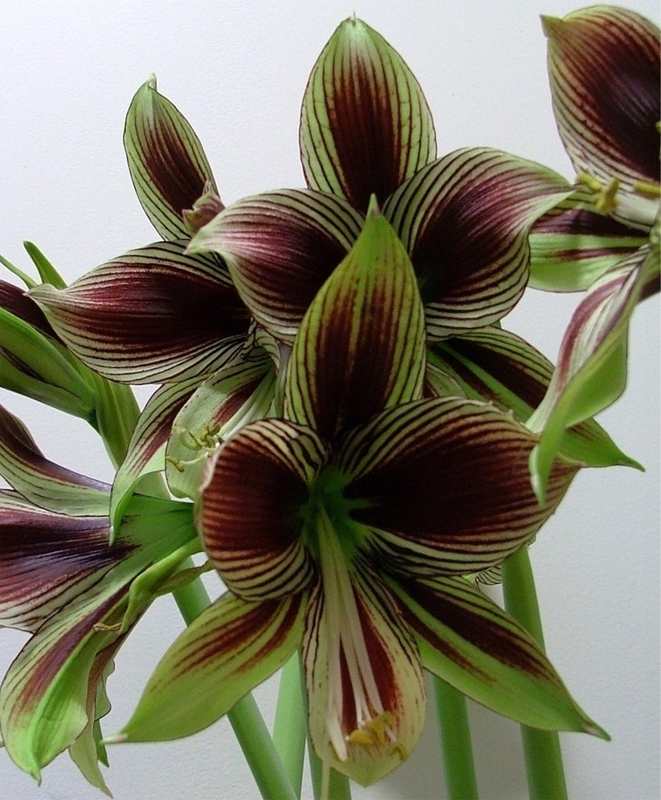 Commonly referred to as the Butterfly Amaryllis, this exotic beauty has narrow, recurved flowers of cream, burgundy and bronze with strappy, dark-green foliage. 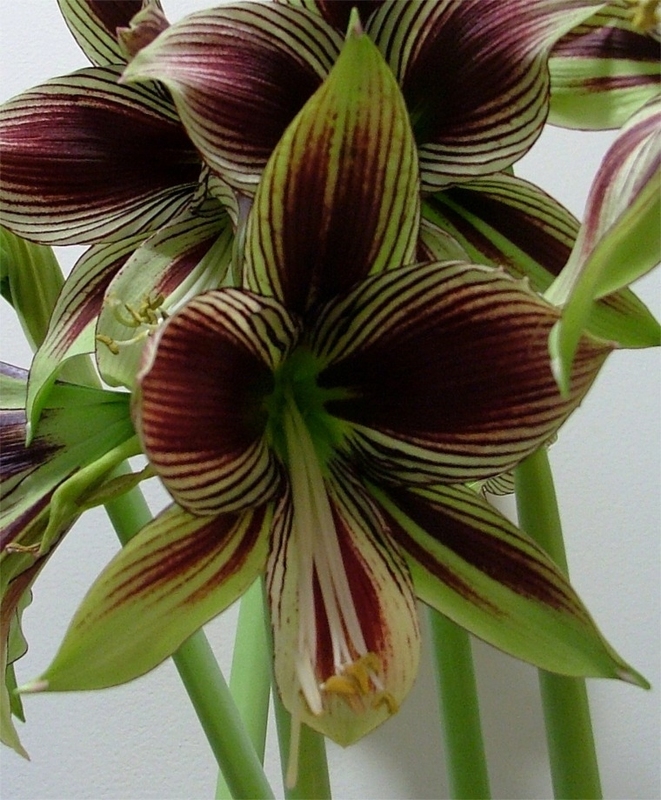 An evergreen variety, Papilio need not be forced into dormancy like other Amaryllis. 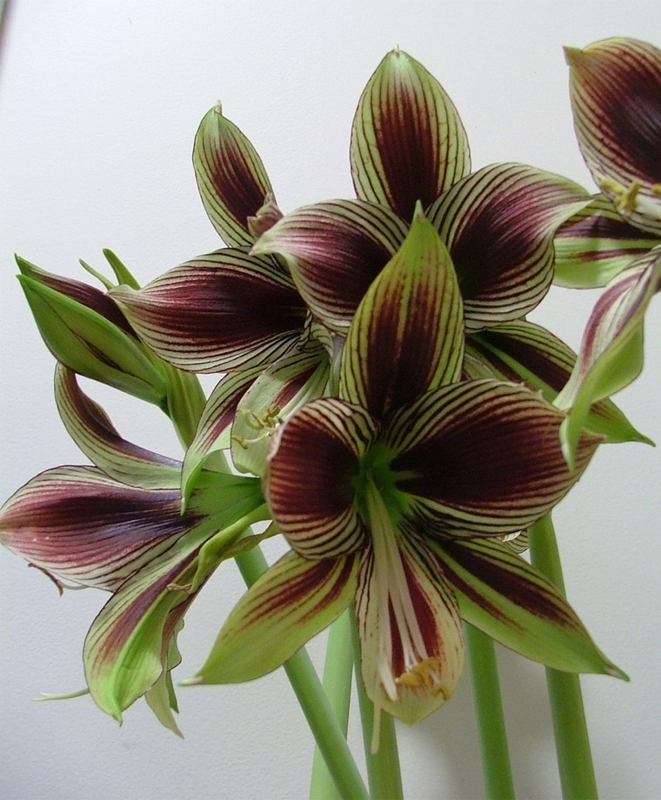 While it may not bloom the first season, it will throw off increasingly more flowers as it matures as a plant over time. Harvest bulb size: 24 cm. 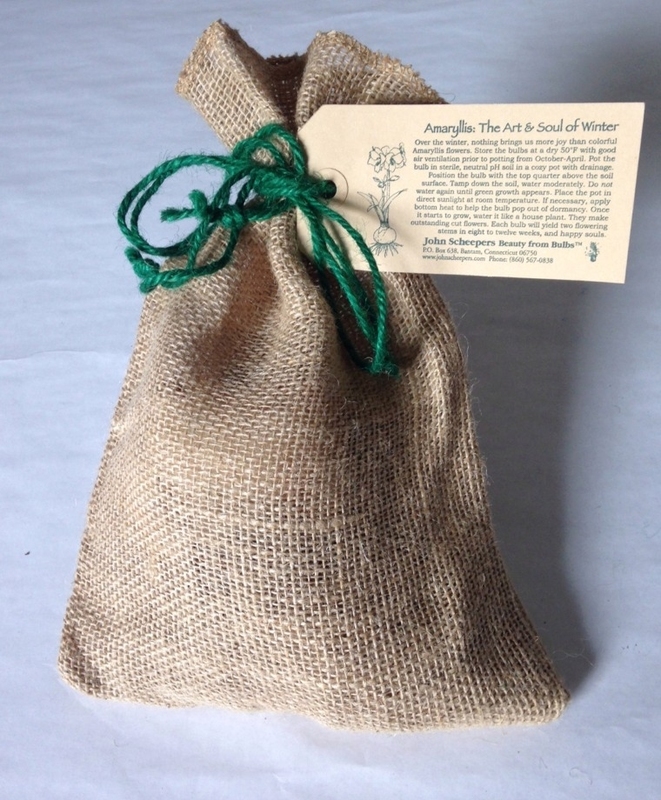 Each plump, bareroot bulb is nestled in its own little burlap sack secured with green garden twine and a rustic Art & Soul of Winter label with horticultural instructions. A terrific bulb-in-a-bag for holiday gift giving!